Almost Home invites you to experience the upscale, modern style of a Crestview furnished apartment this outstanding Crestview location. Conveniently located in Crestview, FL off . . . Almost Home invites you to enjoy Crestview temporary housing this fully-featured, condo-style community. You will be close to all that matters in Crestview, yet at . . . I want to thank you for a wonderful experience with Almost Home. Your accommodating spirit and your timely actions certainly made my first 3 months in Houston feel exactly like your name implies. They took the burden off of me and my company for finding a furnished apartment. The knowledge of the housing specialist and the customer support was excellent. Thank you! It is nice to work with someone from Wisconsin. The customer service from some of the other places I have been talking to has been horrible! 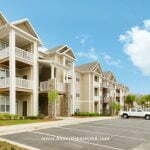 Our beautiful Crestview furnished apartments and homes are among the best corporate housing in the Crestview area. With our caring and attentive staff, you will be offered relocation choices to suit your needs and be able to select your perfect short-term or long-term accommodations. Submit your request to have photos and a quote emailed to you. Comfort and an almost home feeling are our goals in providing the best temporary or extended stay housing for your budget. We customize our Crestview apartments with a corporate housing package to fit your special requests. Would you like a home office instead of a second bedroom? Do you need a washer or dryer in the apartment or a fitness facility on the community premises? Explain your requests to our caring housing specialists and they will create a perfect, customized package for your extended stay or temporary housing need. Relocation in Your Desired Area of Crestview, FL. Our philosophy of providing multiple corporate housing locations in each city creates convenience, affordability and choice for our clients. Our menu of great apartment or home locations means the relocation property that will best serve your needs is selected. Ask about our many locations offering vacation homes, apartments, and condos. Our Crestview furnished homes rent for 30 days or more (depending on property availability). Whether your desired location is in the suburbs or downtown Crestview, we offer corporate housing to fit every budget or luxury. Almost Home's temporary housing is a perfect solution when disaster strikes by fire or flood and you need a furnished apartment or home for an extended stay until your own home is back in order. Your insurance carrier will be pleased that the cost is less than a hotel and you will live in comfortable housing that is almost like home. Almost Home offers the same features and amenities that can be found in a resort hotel...plus many more. If you are on an extended stay in Crestview, or if you are relocating there with the intention of purchasing a home, then you will find that there are many reasons to live in corporate housing instead of staying in a hotel room. 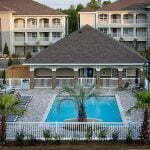 If you are seeking employment in Crestview, then a furnished apartment is the best place from which to start out. Corporate housing offers a short term lease, a private mailbox, and a local address.